Whether you’re a beach bum or a rugged eco-traveler, there are some important things to know when packing for Costa Rica. Located at 10 degrees latitude, the sun shines brighter and the rain falls harder here. Many gringos arrive expecting Margaritaville — and leave with bug bites, blisters and a nasty sunburn. By packing a few simple items, you’ll be way ahead of the game. 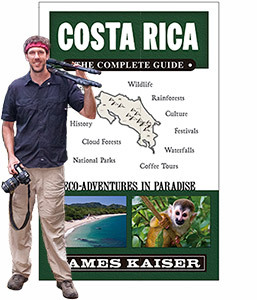 Pack everything I recommend here, and you’ll be ready for anything in Costa Rica. Yes, English is common in Costa Rica, especially in well-traveled areas. But knowing a few key Spanish phrases will really set you apart from the majority of tourists. Take the time to memorize the basics: hola (“hello”), hasta luego (“goodbye”), la cuenta, por favor (“the bill, please”), gracias (“thank you”). Even better, sprinkle in some Costa Rican sayings like pura vida, mae! It doesn’t matter if your pronunciation is terrible, or if you mess up the words entirely. Just trying to communicate with others in Spanish conveys empathy and respect. Locals will love it. They’ll warm up to you immediately. 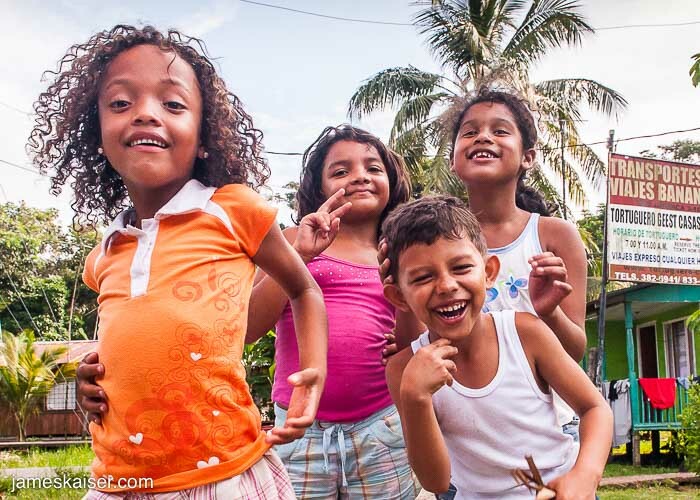 The Official Guide to Costa Rican Spanish is a great resource for Costa Rican Spanish, which has more than a few regional quirks. There are also plenty of Spanish smartphone apps, but they tend to focus on Spanish used in Mexico or Spain, and you’ll need to carry a charged smartphone everywhere you go. Costa Rica’s weather patterns are fairly predictable, but you’ll definitely want a good rain jacket — even during the dry season. No matter where you are in Costa Rica, it can rain at any time of the year. (There’s a reason they call it a rain forest.) You might also find yourself on a boat that kicks up lots of spray. Or your plans could suddenly change, and you might visit a rainy part of Costa Rica. Buy a high-quality rain jacket. Rain jackets, like many things in life, follow a simple rule: you get what you pay for. A cheap plastic rain jacket won’t last long. A good Gore-Tex rain jacket will likely last for years. I’ve been using my North Face Gore-Tex rain jacket for almost a decade, and it still works great. Stuff it in the bottom of your day pack and bring it everywhere you go. You should always carry a headlamp or flashlight in Costa Rica. You never know when the electricity might go out, or when you’ll end up in a small town with no street lamps. In addition, many ecolodges pride themselves on limited electricity, preferring candles and oil lamps. Trust me, when the sun goes down between 5:20pm and 6pm (as it does throughout the year when you’re this close to the equator), you’ll be glad you’re carrying a flashlight or headlamp. I know, it seems obvious, but many people forget to pack good sunscreen or decide they’ll pick some up when they arrive in Costa Rica. That’s fine, but imported goods like sunscreen can be up to four times more expensive in Costa Rica. You also might not find your favorite brands. It’s far more economical to bring sunscreen to Costa Rica. Buy 30 SPF or higher, and when packing sunscreen put it in a ziplock bag. That way if it pops open in your suitcase it won’t get all over your clothes. And remember, the sun shines is more powerful in the tropics, especially at high elevations. If you visit the mountains, good sunscreen becomes even more important. The easiest way to protect your head from the sun. The wider the brim, the better. It’s the tropics. Bring an extra pair as backup. Shorts and skimpy clothing are common at the beach, but as soon as you head into the mountains you’ll want long pants. This isn’t just about temperature. In places like San Jose, Costa Rica’s capital and largest city, locals almost never wear shorts in public. They’re considered a bit shabby. If you stroll around San Jose in shorts, you’ll immediately identify yourself as a clueless tourist, which makes you target numero uno for pickpockets. Security issues aside, observing local norms is simply good manners. In places like the United States, people wear clothes to express their unique individuality. But in places like Costa Rica – and much of the world for that matter – people often dress in consideration of other people. Meeting someone while wearing shabby clothes is considered disrespectful – a sign that you don’t take the other person seriously. Do you really want to be that gringo? Costa Rica is home to tens of thousands of insect species. Most are completely harmless — and actually quite beautiful. But mosquitoes are annoying, and in some cases they can transmit dengue, zika and other illnesses. The solution is simple: wear strong repellent when visiting mosquito-prone areas (Caribbean Coast, South Pacific and Central Pacific). What’s strong mosquito repellent? Any repellent that contains DEET (diethyltoluamide), which produces an odor repels mosquitos. Apply DEET to your clothes regularly. An alternative to DEET is picaridin (hydroxyethyl isobutyl piperidine carboxylate). Don’t like the sound of DEET or picaridin? Feel free to use your favorite “natural” repellent … but don’t say I didn’t warn you. Another alternative is covering up as much skin as possible with lightweight clothes (long sleeves, hiking pants). In hot, humid areas, however, being fully covered is not always comfortable. Some gringos proudly pack only flip flops when visiting Costa Rica. You can often identify them by the sores and blisters on their feet. 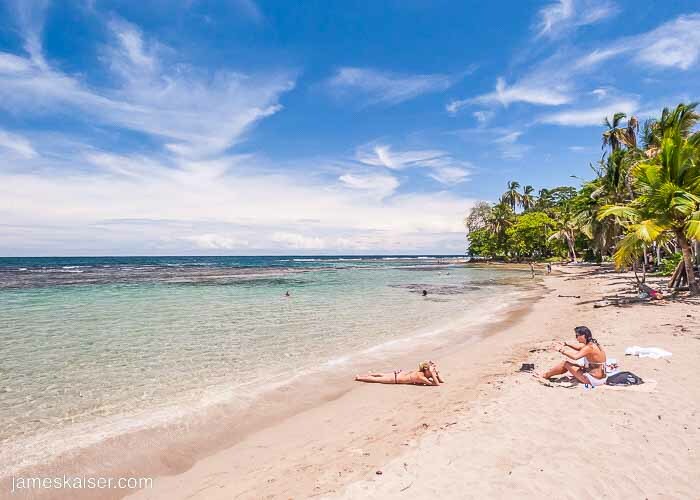 Yes, Costa Rica is a tropical country filled with beautiful beaches. But it’s also filled with mountains that rise thousands of feet to cool, wet areas. Even if you’re only planning a beach vacation, it pays to pack a pair of sturdy shoes. You might book a zipline tour that requires closed-toe shoes, or sign up for an amazing day trip to the mountains, or find yourself passing through an area where flip flops aren’t ideal. Avoid thick leather hiking boots, which can take forever to dry. I prefer lightweight hiking boots, which provide adequate protection but aren’t clunky. I also like boots lined with waterproof Gore-Tex, even though they sometimes trap water inside. If your boots fill with water, just take them off and dump them out. On that note, pack an extra pair of socks. And bring moleskin in case you start to develop blisters. Depending on your interests, sport sandals/water shoes fall in the “optional” category. If you’re thinking about rafting, canyoneering, or hiking through wet areas, you should definitely pack a pair of sport sandals/water shoes like those made by Keen. Nothing is worse than boots filled with water and sand, which quickly grind down your flesh. Some of Costa Rica’s most amazing destinations — Poás Volcano, Irazú Volcano, Chirripó — are located at elevations above 8,000 feet. Even in the tropics, this means cool temperatures. Pack at least one sweater, fleece or warm jacket. A warm hat is also a good idea – no other piece of clothing provides so much warmth for so little space. I travel a lot, and I never go anywhere without packing cubes. There’s no better way to keep your clothes organized – or to keep dirty clothes separate from clean clothes. Packing cubes are cheap, light and super useful. What’s not to love? A mesh bag, which weighs practically nothing, is great for temporarily storing swimsuits and wet clothes. Plastic bags trap moisture, which is a terrific way to cultivate some of the fascinating molds and fungi found in Costa Rica. Finally, you’ll need someplace to store your essential items. Stash everything in a single day pack. That way you’ve only got one thing to remember. 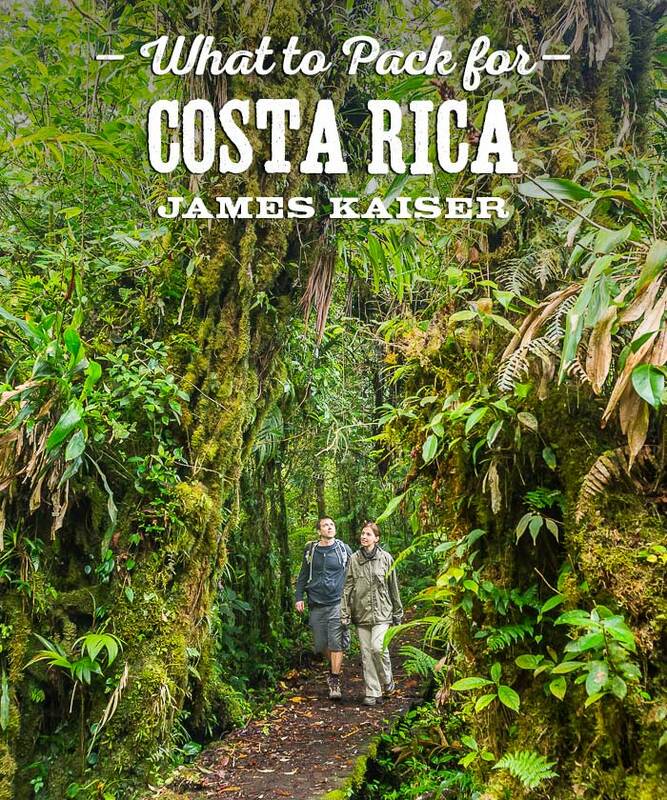 Plan the perfect Costa Rica vacation for less than the cost of lunch!